Originally priced at $42,500, we have been asked by the owner to adjust the price of this well maintained Greavette to $18,000 WOW! Please see description, photos and ad link below. “The Greavette has been extremely well maintained. It was originally commissioned in 1949 to be built for our family, and has been used by the family only since that time. 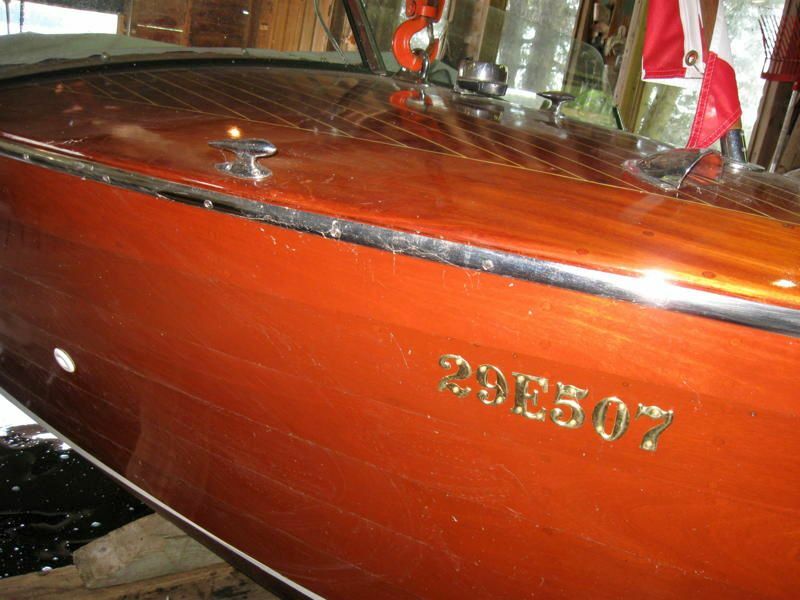 It underwent a complete restoration in 2008 by Monty Masterson. You will see by the marine survey (below) that over $60,000 was spent on restoration in 2008. Price: Was $42,500. New price, as of July, 2017 $18,000 WOW! For contact information, please click on the link Ad number pb517 More photos and detailed description below. Rear bits are special heavy duty for towing water skiers or aquaplane. Engine was totally refurbished by Class A mechanic. Runabout. An in-depth electrical survey was not requested or performed as part of this routine. or better than new condition in 2008. The subject vessel has reportedly been in the ownership of the Borsook family since new. 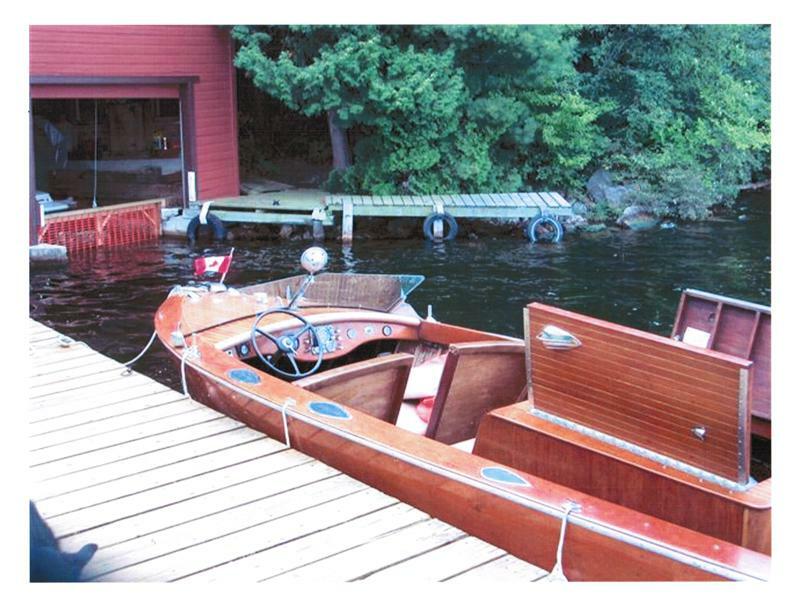 Masterson, a master shipwright, specializing in wooden boat building and refurbishment. Mr.
inspection and consulting assignment was requested by Dr. Freedman after the death of Mr.
Beryl Borsook earlier in 2011.
abase form for the conduct of this inspection. or measured at the time of the inspection. used as guidelines, they may not have been used or applied all-inclusively or exhaustively. typically be to underscore and support obvious observed safety or other issues on older vessels. and/or the professional judgment and/or opinion including, but not limited to, that of theattending surveyor. 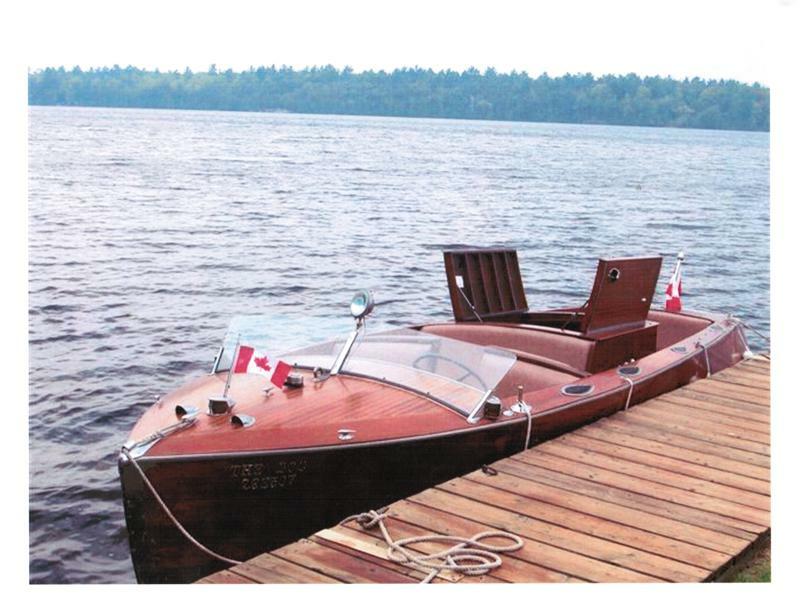 Type/Style: Fully planning modified V mono-hull recreational single engine power boat. Method of HIN Attachment: Screws to the wood structure, see photo. paperwork ownership documentation be found and kept up to date. type, being round bottomed forwards developing into a hard chine low-dead rise outrun aft. between the new and old wood. structural work to the hull planking. detraction from the overall aesthetic appeal of this vessel. than it was originally built. Helm Station: One instrumented helm station forwards. well secured to the hull structure. The instrument panel is the original Kermath panel with, perhaps some newer gauges. new or “as new” condition. meter readings under these conditions would be meaningless or misleading. and tear from the rubbing of the fenders when the vessel was last used. they are clearly visible with the vessel out of the water on blocks. See below (transom). 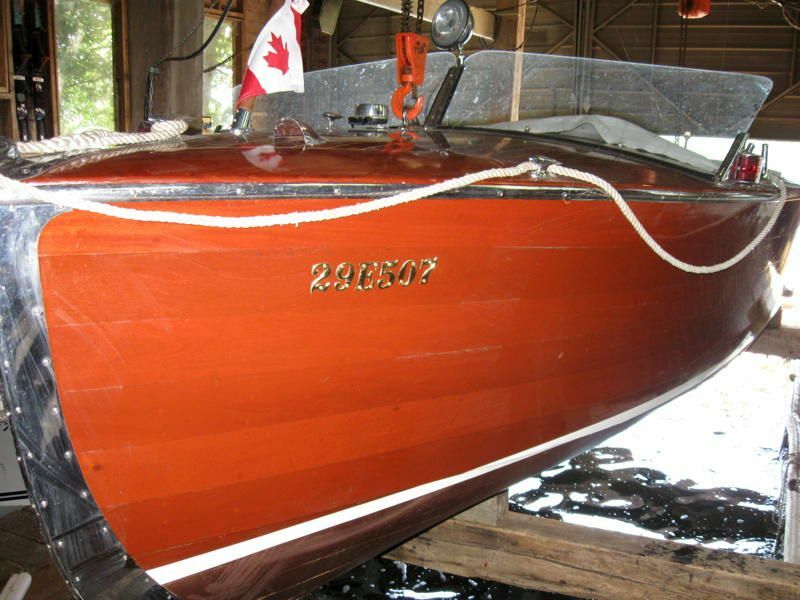 Transom Wood: Good, new wood fitted below the waterline as reported by Montie Masterson. Engine Operation: Not tested as part of this inspection. Reportedly operates well. seal the lower ball valve to eliminate leakage. This noted in 2008. Fill Hose Material Labeled Per USCG A2.B1/B2: The fill pipe is steel. 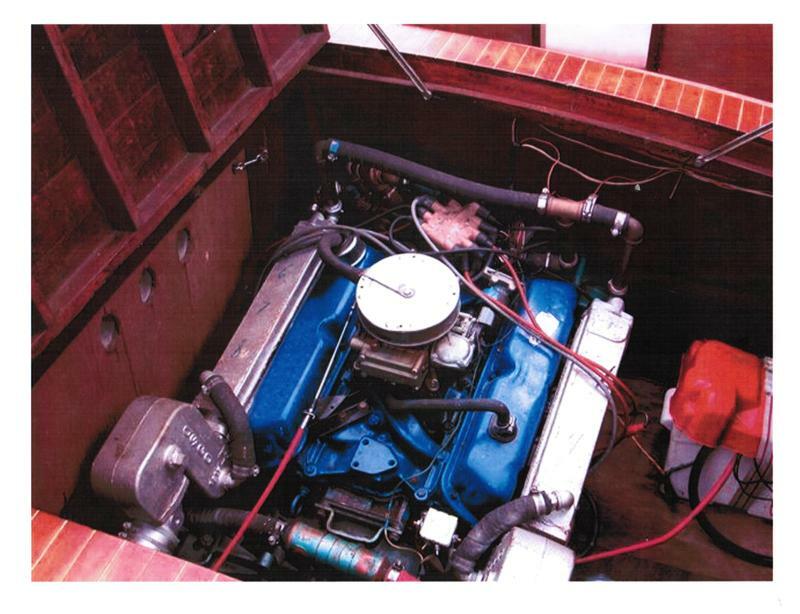 between the copper pipe and the engine is reportedly USCG type A1, J1527 or equivalent. of the tank. The system appears to have been assembled correctly as designed. 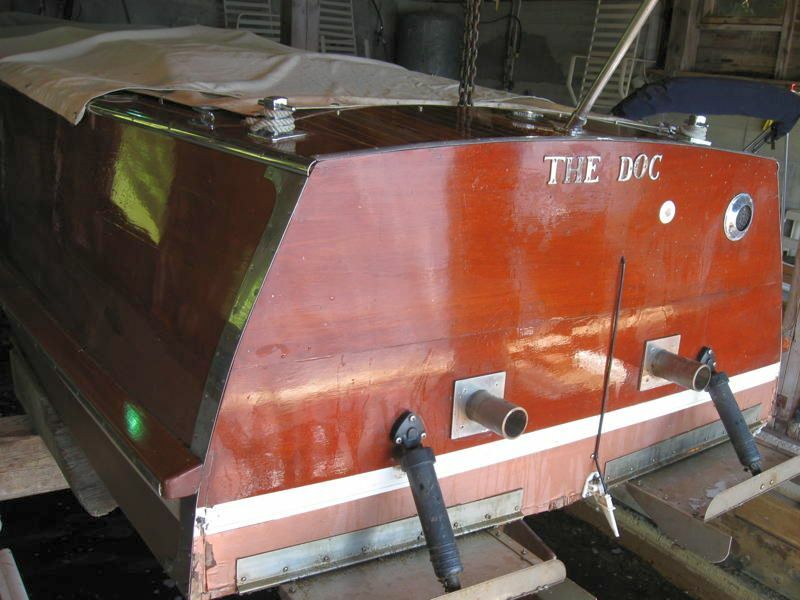 ****The fuel lift pump is not of the double diaphragm style as required by ABYC. leakage. See http://www.uscgboating.org and Boating Safety Circular #85 for details. improvement over the original design that vented to the cockpit space. suction hose does not draw from the lowest part of the bilge space under the engine. installed at the helm console ref engine space venting for four minutes prior to engine starting. compartment, installation appears to be satisfactory. A ball valve is fitted. Note: A second, ready-rigged second anchor is recommended for all vessels. appearance of these parts is new or as new. responsibility of the owner when cruising. Compass Make/Size: Not seen. A compass is required equipment when cruising. Notes: Note TCMS requirements to carry appropriate pyrotechnic devices when cruising. Note safe procedures for disposal of outdated flares and pyrotechnic devices. when children are on board, especially at the aft end seat area. ****Safety or major maintenance item. ***Maintenance or important FYI item. **Minor maintenance or FYI item. under the engine as required by ABYC. survey. The electrical work was done by a sub contractor assigned by Montie Masterson. Owners Declared Experience: This vessel has been owned by Mr. Borsook’s family since new. the un-detailed engine and somewhat untidy electrical wiring. state in dry storage out of the water in its covered boathouse. During the limited use since the refit some cosmetic wear and tear has occurred. corners which are the only obvious visual impairments to an otherwise stunning boat. of this make and model and appointments might have been approximately C$12,500.00. Yacht Harbour has not been considered in this calculation. my recent research is in the region of C$25,000.00 – C$30,000.00, Plus transfers fees and taxes. noted. The estimated value of this vessel “The Doc” sits somewhere in the middle of this range. C$120,000.00 –C$140,000.00 including new (EPA approved) engine and propulsion. safety equipment to be carried on board while cruising. maintain a vessel’s safety, reliability and value. Member Canadian Power and Sail Squadron.